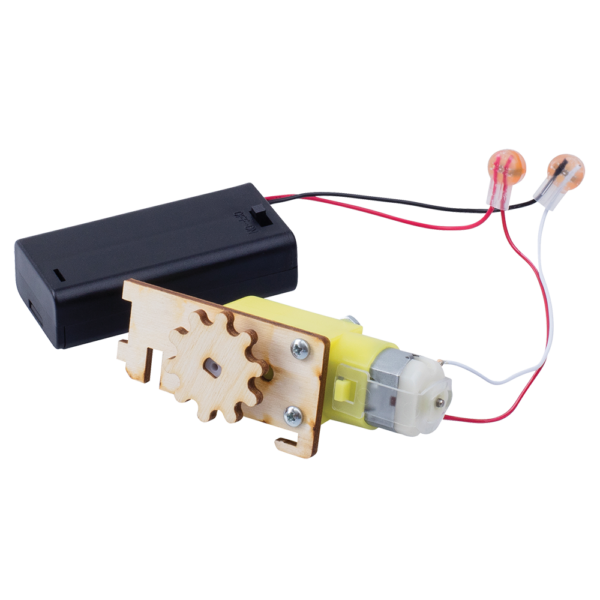 Assembled in USA from US and China parts. 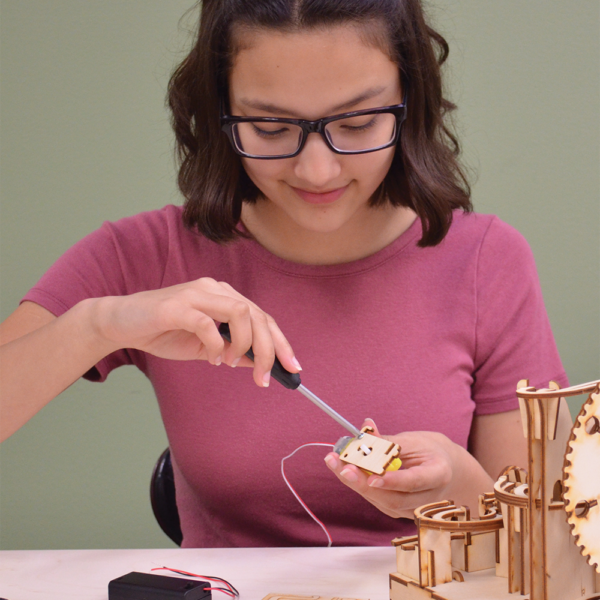 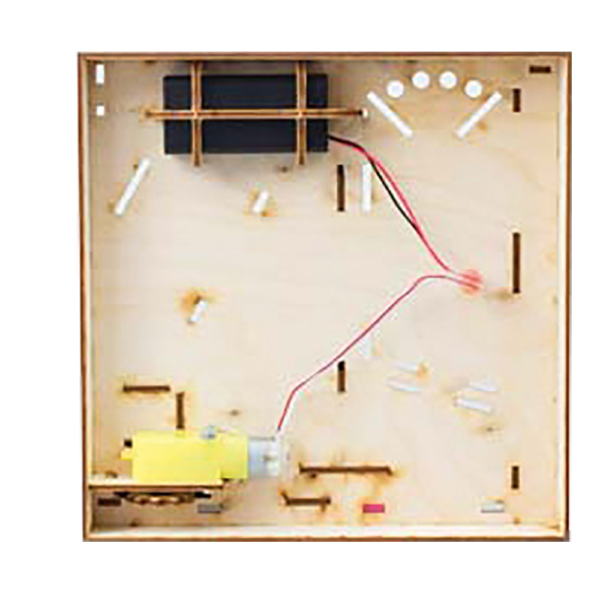 Power up your marble machine! 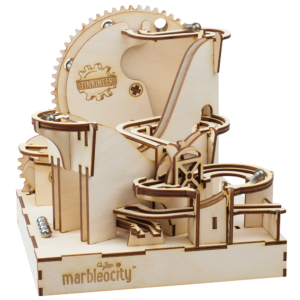 The Marbleocity Motor Kit comes with everything you need to automate your full-size Marbleocity Dragon Coaster or Skate Park. 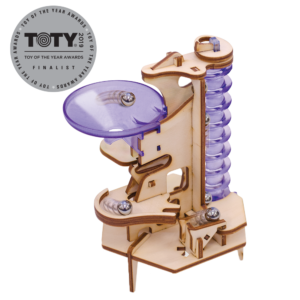 It’s a great way to enhance your Marbleocity showpiece! 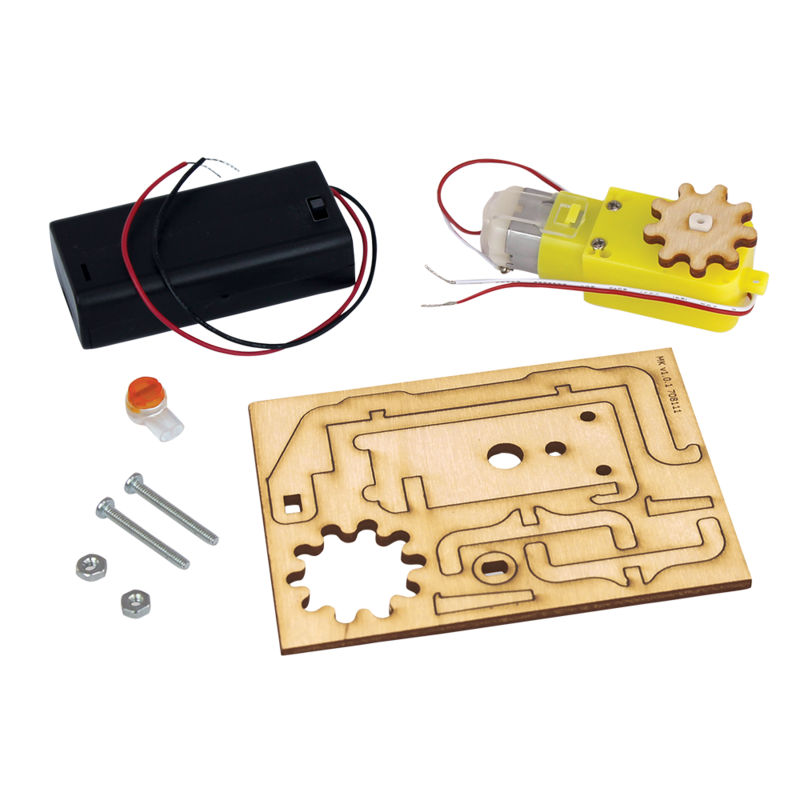 If you link multiple marble machines, you will need one motor per machine. 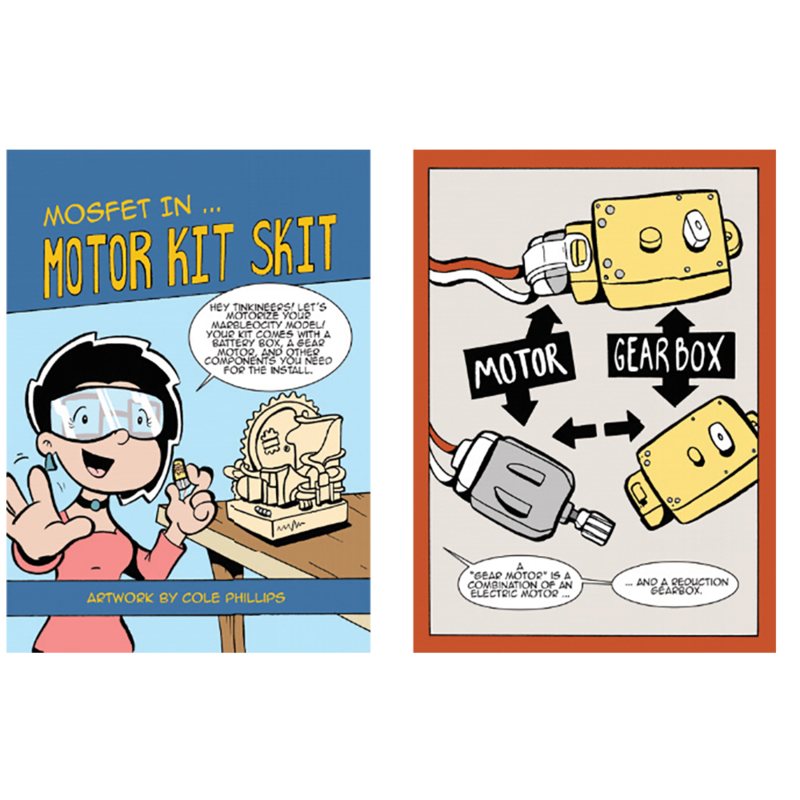 The Marbleocity Motor Kit also comes with a fun comic that teaches you about some of the science that powers your motor…gear trains and torque! 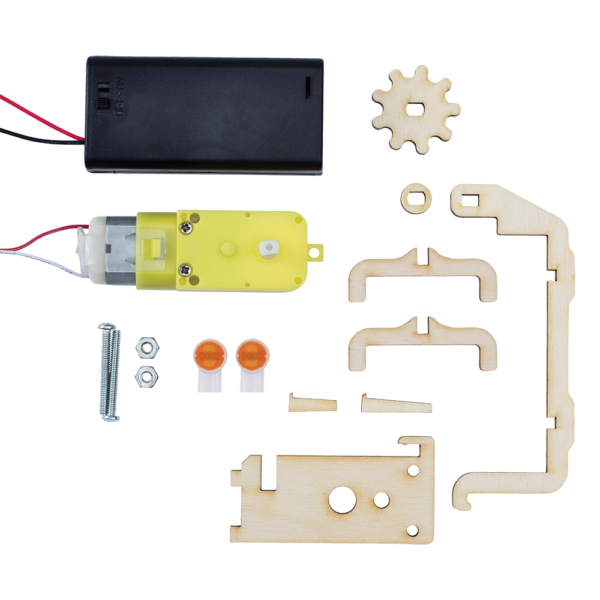 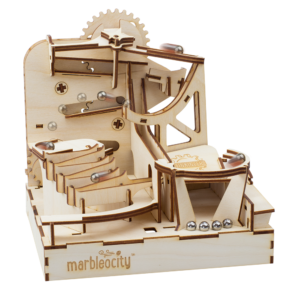 The Marbleocity Motor Kit is compatible with all Marbleocity kits EXCEPT the Mini Skate Park and Mini Coaster. 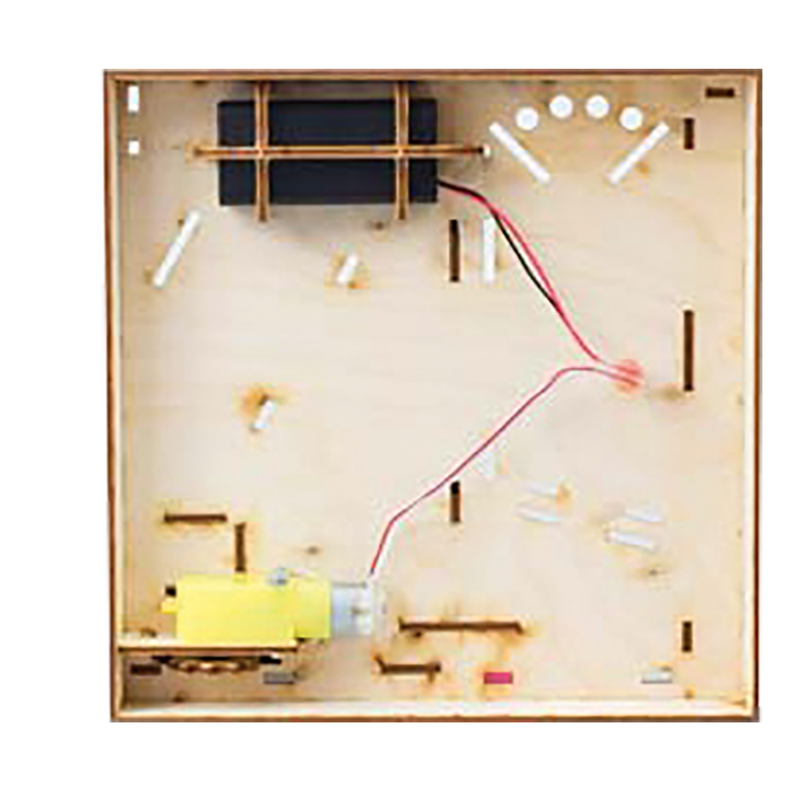 To install, you will need household white glue, screwdriver and pliers. Requires 2 AA batteries, not included.